After years of regulatory delays, the United States on Monday issued a presidential permit to a three-mile segment of Enbridge Inc&apos;s Line 67 crude oil pipeline, which will enable the company to nearly double capacity on the cross-border conduit. The permit from the U.S. State Department for the so-called Alberta Clipper line will allow Calgary-based Enbridge to ship 890,000 barrels per day (bpd) of Canadian crude from Edmonton, Alberta, to Superior, Wisconsin, up from 450,000 bpd currently. Enbridge said it welcomed the issuance of the permit after a nearly five-year review process. “Line 67 currently operates under an existing Presidential Permit that was issued by the State Department in 2009 and the 2017 permit authorizes Enbridge to fully utilize its capacity across the border,” the company said in a statement. All cross-border crude oil pipelines require presidential approval. Enbridge first filed for the Alberta Clipper permit in 2012. But like TransCanada Corp&apos;s Keystone XL, the company ran into delays obtaining the permit from the administration of then President Barack Obama. In 2014, the company hatched a workaround plan to circumvent the delay. 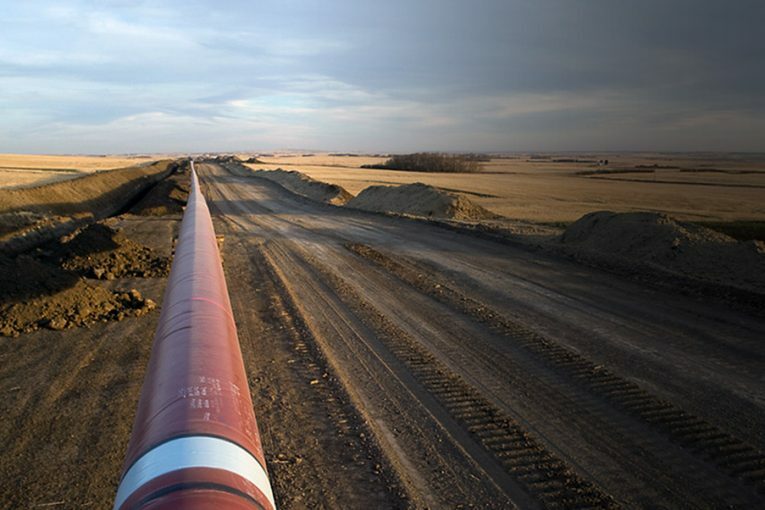 It connected the Alberta Clipper to its existing Line 3 pipeline on each side of the Canada-U.S. border, and put oil from Clipper on Line 3 to cross the international boundary. The permit from President Donald Trump&apos;s pro-business administration, which also approved Keystone XL earlier this year, was widely expected, said AltaCorp Capital analyst Dirk Lever, and will help relieve pressure on other parts of the Enbridge system. “This will take off some of the congestion from Line 3 and helps debottleneck it,” Lever said. Enbridge&apos;s Mainline pipeline network carries the bulk of Canada&apos;s 3 million bpd of crude exports to the United States and operates at close to capacity. Enbridge shares were up 0.4 percent on the Toronto Stock Exchange at C$52.01.